July 1, 2017 marked the beginning of Dr. Bass’ appointment as the Long Beach Camerata Singers’ Artistic Director. 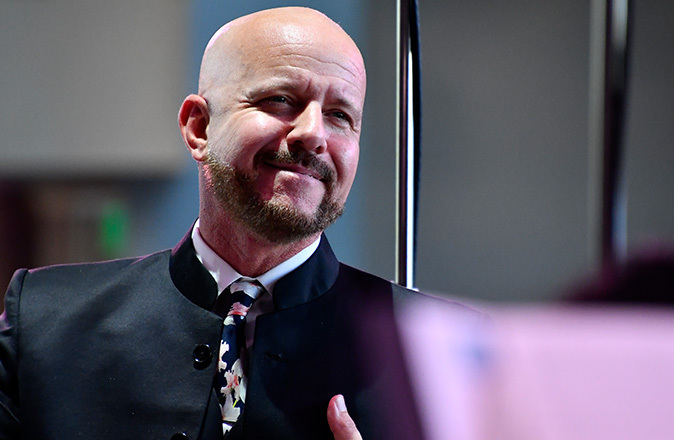 James K. Bass, three-time GRAMMY®-nominated singer and conductor, is Professor and Director of Choral Studies at the Herb Alpert School of Music at UCLA. He is also the Associate Conductor and Director of Education for the Miami based ensemble Seraphic Fire. Bass is an active soloist and ensemble artist. In 2017 he made his Cleveland Orchestra solo debut singing with Franz Welser-Möst and the orchestra in Miami and in Severance Hall, Cleveland. Other engagements as soloist include the New World Symphony with Michael Tilson-Thomas, The Florida Orchestra, Grand Rapids Symphony, Back Bay Chorale and Orchestra, Firebird Chamber Orchestra, and The Sebastians. 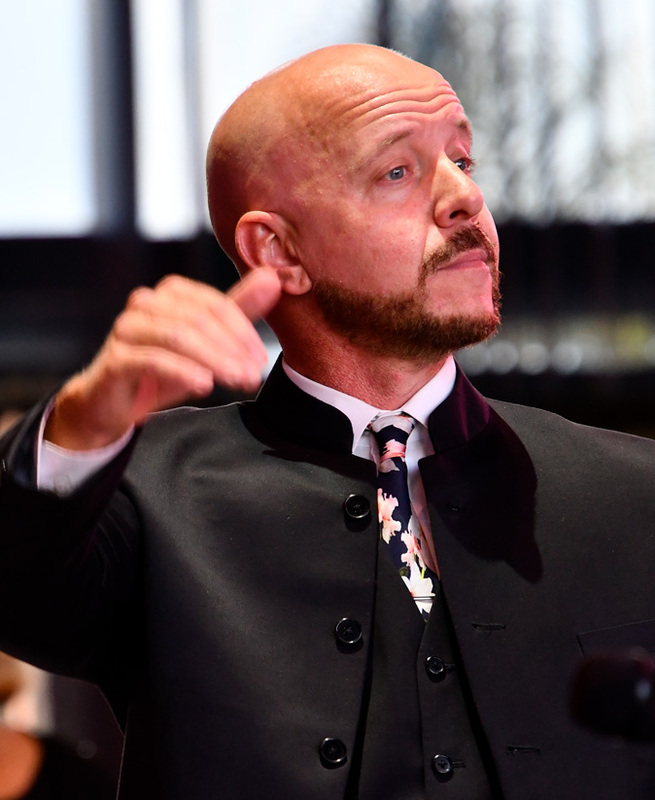 Bass received his Doctor of Musical Arts degree from the University of Miami, where he was a doctoral fellow, and is a graduate of the Interlochen Arts Academy. He has appeared with numerous professional vocal ensembles including Seraphic Fire, Conspirare, the Santa Fe Desert Chorale, Trinity Wall Street, Apollo Master Chorale, Vox Humanae, True Concord and Spire. He was the featured baritone soloist on the GRAMMY nominated recording Pablo Neruda: The Poet Sings with fellow singer Lauren Snouffer, conductor Craig Hella-Johnson and the GRAMMY winning ensemble Conpirare. He is one of 13 singers on the GRAMMY®-nominated disc A Seraphic Fire Christmas and appears on CD recordings on the Harmonia Mundi, Naxos, Albany, and Seraphic Fire Media labels. 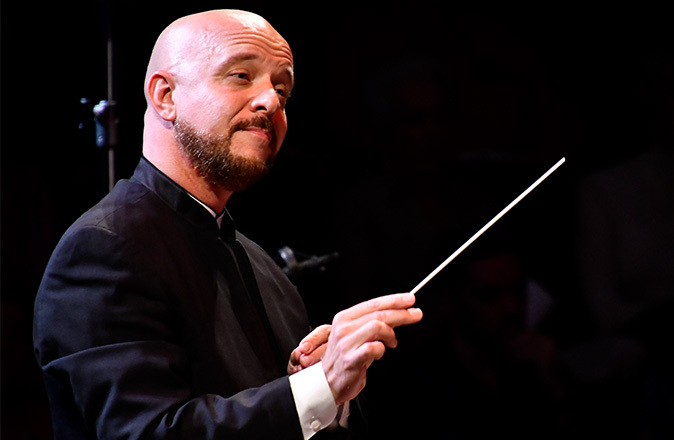 Bass was selected by the master conductor of the Amsterdam Baroque Soloists, Ton Koopman, to be one of only 20 singers for a presentation of Cantatas by J. S. Bach in Carnegie Hall and was an auditioned member of Robert Shaw’s workshop choir at Carnegie. 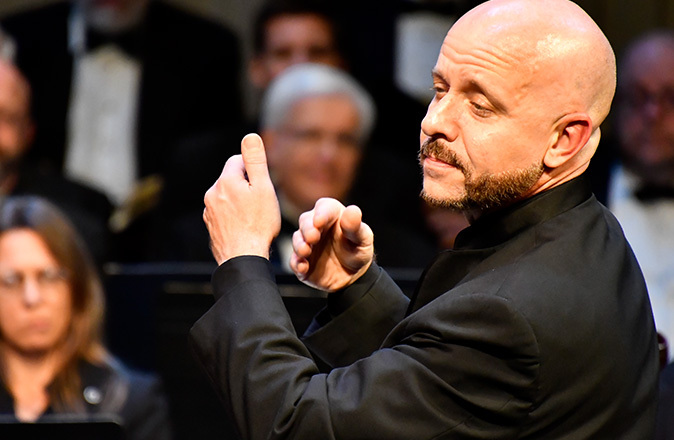 During his tenure as Artistic Director for the Master Chorale of Tampa Bay, the official chorus of the Florida Orchestra, he was responsible for five recordings and multiple world premieres. In 2012 he served as chorusmaster and co-editor for the Naxos recording entitled Delius: Sea Drift and Appalachia featuring the Florida Orchestra and conducted by Stefan Sanderling. In 2014 he was the preparer for the recording Holiday Pops Live! conducted by the principal pops conductor Jeff Tyzik. His professional career has coincided with the development of Seraphic Fire as one of the premier vocal ensembles in the United States. He has been actively involved as soloist, ensemble artist, editor, producer and preparer for 14 of the ensembles recordings and routinely conducts the ensemble in Miami and on tour. During the summer of 2011 he co-founded the Professional Choral Institute. In its inaugural year of recording, Seraphic Fire and PCI received the GRAMMY® nomination for Best Choral Performance for their recording of Johannes Brahms’ Ein Deuthches Requiem. As the Director of Education for the ensemble he has been involved with annual events that service more than 2000 students in the Miami-Dade county area each year. In 2017 Seraphic Fire and UCLA launched a new educational initiative entitled the Ensemble Artist Program that aims to identify and train the next generation of high-level ensemble singers. We are so grateful to have him here at Long Beach Camerata Singers.